Pro Landscaping is pleased to offer a wide variety of winter maintenance services including ice and snow removal. We use only the safest and most effective methods to rid your property of snow and ice, including environmentally conscious salt treatments. For snow removal, Bolton property owners can depend on Pro Landscaping. 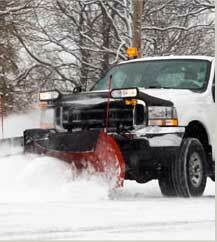 Our highly skilled team of technicians offer expert services in de-icing, salting, and snowblowing. Customer satisfaction and safety are our #1 priorities, and we’ll take on the harshest weather conditions to make sure that your property is cleared. Our Bolton snow removal team is licensed and certified in Ontario to provide the highest quality winter maintenance treatments. We will gladly provide our service records to ensure that your standards for safety are exceeded. Whether you want to clear a small pathway, or you’d like to de-ice an entire commercial property - there’s no job too large or too small for Pro Landscaping!